We have expressed our interest in viewing and reviewing – U. S. TV Series Elementary – a long ago. And now as it is available on Amazon Prime to watch for free, we got a chance to view a few episodes of the same. We really loved the way it is adopted in the US environment. 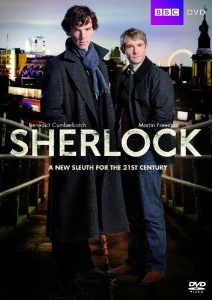 The name of the TV Serial is inspired by the famous Sherlock dialogue, Elementary, my dear Watson. Even the gender change of John Watson to Jane Watson is thoughtful, and it goes along pretty well. 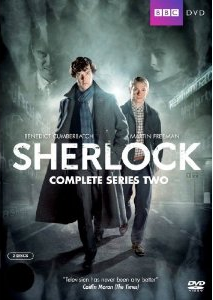 If you love Sherlock stories and have a good liking for detective fictions, it is definitely worth watching. Let us talk about the Pilot episode of Elementary. Sherlock Holmes, the famous detective from the UK who have worked closely with Scotland Yard is now in the USA. Actually, due to some circumstances, he didn’t find challenging stuff to keep his mind and brain enough busy. This lead him to drugs and he had to undergo some treatment. While he is trying to recover completely, his father decided to take professional help for Sherlock. There comes Jane Watson into picture. She is a doctor and appointed as a sober companion for Sherlock by his father. Actually, Jane also had some tragic incident which made her leave her professional practice and go for this work. We see that to keep his brain elements intact and healthy, Sherlock tries keeping himself busy with something which can give him ultimate relaxation as well as keep him mentally engaged. We also see a setup of multiple Television sets in the drawing room of Sherlock from where he keeps an eye on the reports of criminal activities. It looks like a war room, (but with a limitation) where only the publically available details can be accessed (obviously). When Joan meets Sherlock, she knew almost nothing about her patient. Also, Sherlock was not very keen about having someone keeping an eye on him and accompany him. It was almost decided that Sherlock and Joan will part ways! But there comes an interesting (at least for Sherlock) case which required Sherlock’s attention. Captain Thomas Gregson of NYPD called in Sherlock to assist him in the investigation of recent murder, which according to Sherlock is done by a serial killer! Who is the killer and why he performed such brutal act is uncovered in the rest of the episode. While we cannot talk much about the plot to avoid spoilers, we can definitely talk about our views and reviews for the same. The first thing that catches attention is the characterization of the prime characters. While Sherlock is as enthusiastic, focused, brilliant and good at the theory of deduction (as he is portrayed in books and other TV Shows and Movies), he looks a little mad to others. He cannot tolerate anything insignificant and nonsense, and he is often difficult to deal with in certain cases. Often he is too blunt. Joan is dealing with her own problems. Being a companion to Sherlock is not her choice but a requirement. She found Sherlock unwelcoming and decides to part ways and find some other work and move on. The way Sherlock plays with her alarms and visits the police station to explore records sets up the course. Eventually, she started liking the detective work. All these incidents are portrayed in an interesting manner. For such TV Shows, the content plays an important role. And we must say that the writers does their job impressively. It is not easy to rewrite the famous and popular characters like Sherlock and Watson in completely different environment convincingly. Views and readers already have a mental image of these fictional characters. And, to add to that, there are a variety of TV Shows and movies tried to look at the tale of Sherlock and Watson from their own perspective. So standing out there is not an easy task. There must be catchy lines and witty one liners when we talk about Sherlock Holmes right? We are not disappointed in this aspect here. There are many lines that will remain with you after you finish watching this episode. So, yes, the episode is written pretty well. The production quality catches attention immediately. The locales and sets are chosen and designed well. Sherlock’s apartment doesn’t look like a place you would like to live. And that is how it should be. We cannot imagine him playing by the book and living in a tidy and neat place like Hercule Poirot. In terms of performances, Jonny Lee Miller does complete justice to his character. He slips into a challenging character and remains there throughout. Lucy Liu is famous for her martial arts expertise in some popular movies, she is good as Joan Watson here. Though she is shadowed by Jonny’s acting in this episode, let us see how she performs in other episodes. Aidan Quinn is first rate as Thomas Gregson. The chemistry and relationship between Sherlock, Joan and Gregson is worth exploring. The background music is very convincing and it adds to the positive aspects of Elementary. Overall a nice and genuine attempt to re-tell Sherlock tales from a different perspective. If you like Sherlock Holmes then it is a treat for you, you will find it interesting even otherwise. In short, it is definitely worth watching episode for detective fiction lovers. It seems that a nice experience is awaiting for us to view and present our reviews for this TV Serial. Are you curious to join the journey with us? Do not forget to share this article with your friends over various social networks via Twitter, Facebook, Google Plus and others. And yes, you may like to subscribe to our RSS feeds and follow us on various Social networks to get latest updates for the site to land right in your mail box.